A lot of thanks to Fabrizio Mani and Gream Team for great job !!! 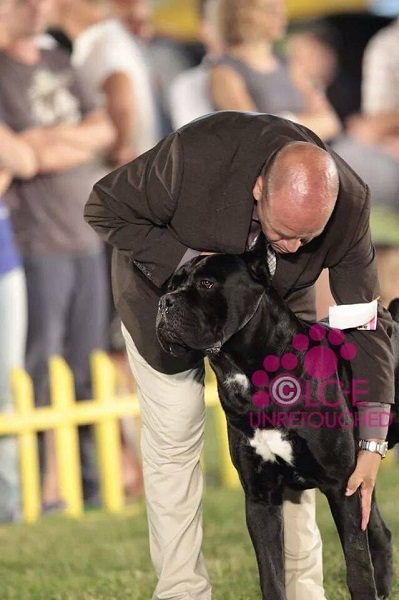 with the best handler team Fabrizio Manni Handling & co!!! 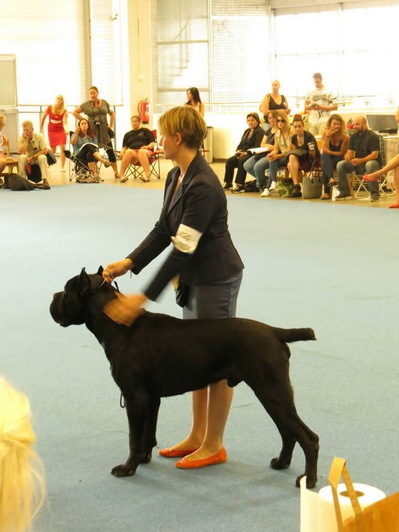 With all this results my sweet boy Gvido Jr, become CROATIAN CH !!!! A lot of thanks for professional work and great results to Fabrizio Manni !!! 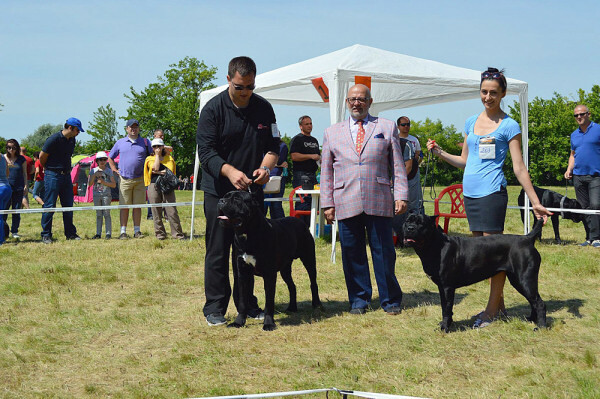 Gvido Jr. Corso Di Munteanu - Kennel will be available for stud service in Italy for few months for all info feel free to ask!!! Contact person Fabrizio Manni !!! 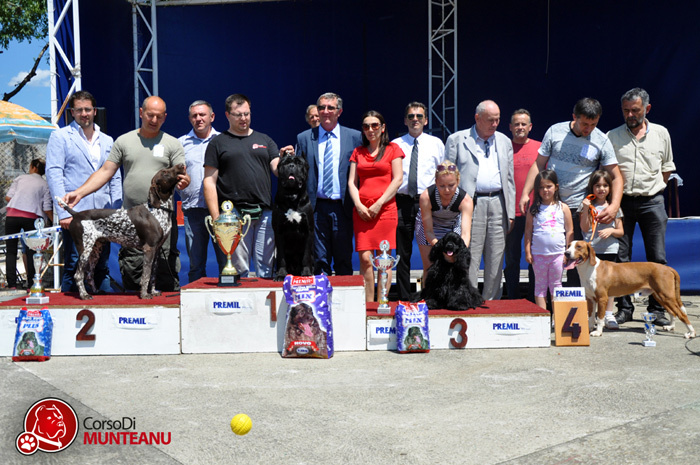 A lot of thanks to Nenad Devic Mediolanum for his BIG help to get Gvido Jr. to Split !!! for preparing Gvido Jr. for this great tour the Europe !!! 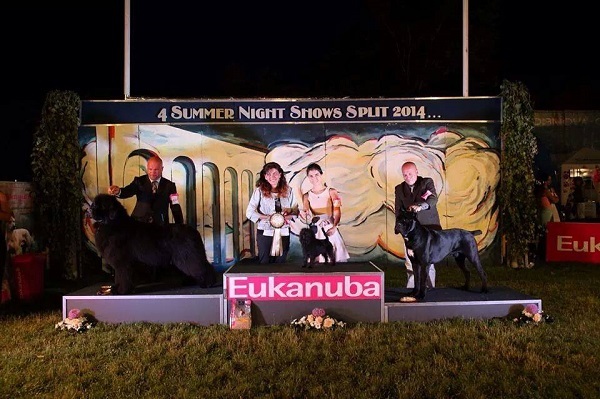 BOG 1 & BEST IN SHOW 1 !!!!!!! A wonderful day a wonderful results for our sweet boy!!! 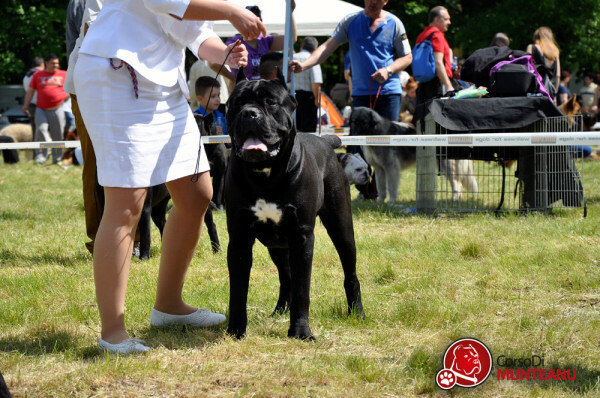 A lot of thanks to handler Adriana Covasa !!! 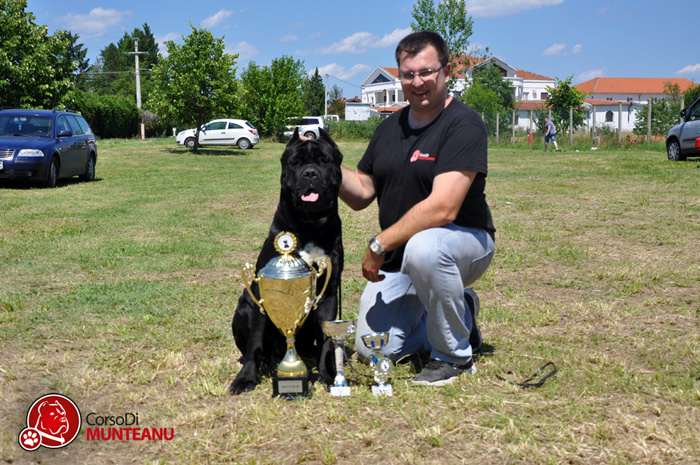 Gvido Jr. Corso Di Munteanu - intermedia class - V1, CAC, CACIB, Best Male, BOB !!! 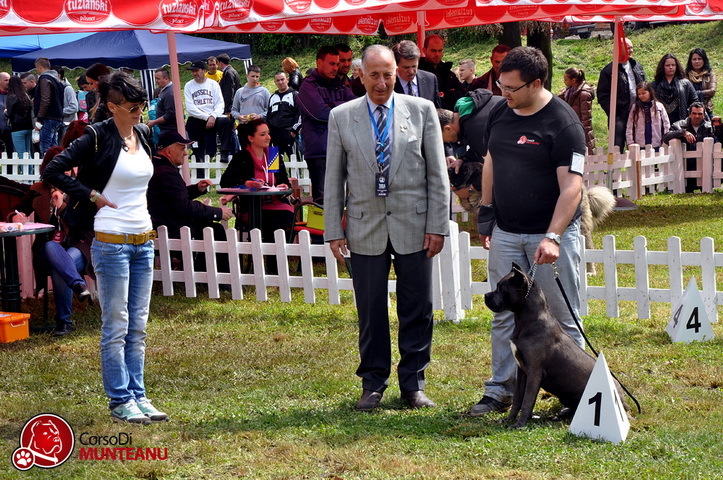 With this titles Gvido Jr Corso Di Munteanu become CH of ROMANIA !!! 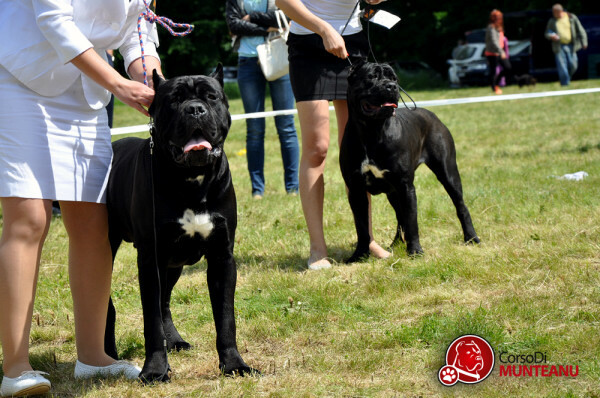 Some great results for our kennel from Cane Corso Club Tuzla - Bosnia and Herzegovina !!! 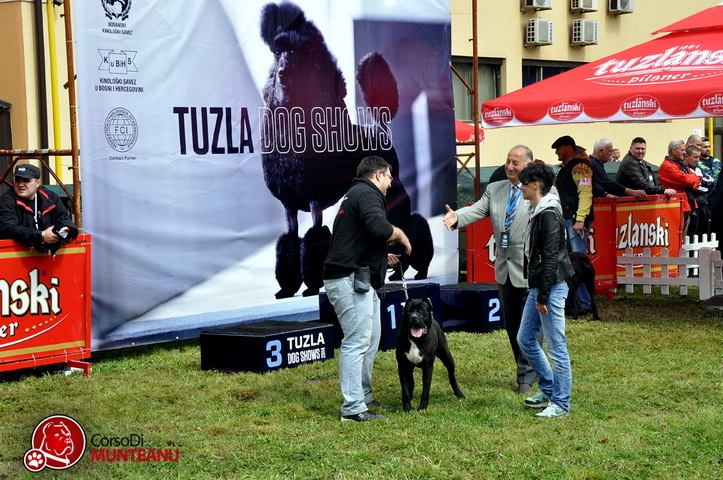 Corso Di Munteanu dogs ENTERED ONLY ON CLUB SHOW in Tuzla ! 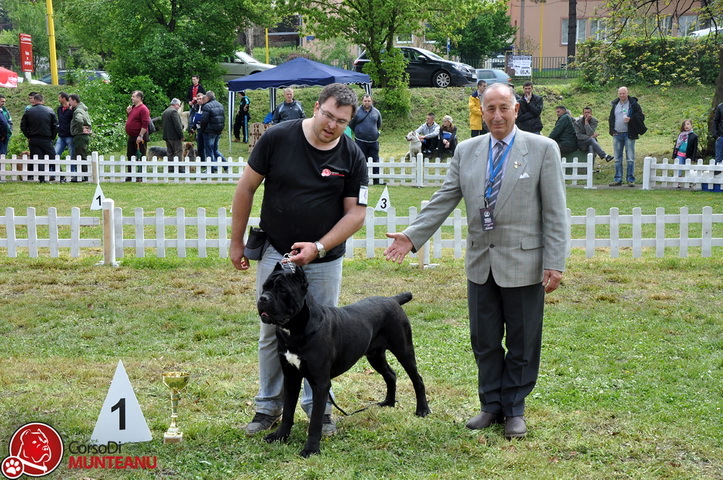 Gvido Jr. Corso Di Munteanu - intermedia class - Best Male, Club Winner & BOB !! !